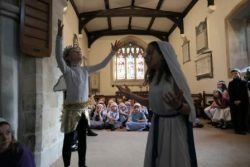 Over the academic year all pupils participate in Harvest, Christmas and Easter services which all parents are invited to attend. Performances are a combination of drama, dance, music, art, presentation of work and whole school singing. Parents love the services and great feedback is always received. We have a strong reputation for performances which we are very proud of. Pupils have chance to shine and grow in confidence. Baydon St Nicholas also sends a performance choir to participate in the annual St johns Academy ‘Music For a Summers Evening’. Pupils are not selected for this choir, it is open to all who would like to participate. 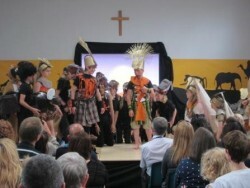 performances have included ‘Cinderella Rockafella’, Joseph and ‘Sparrow Hawk’. 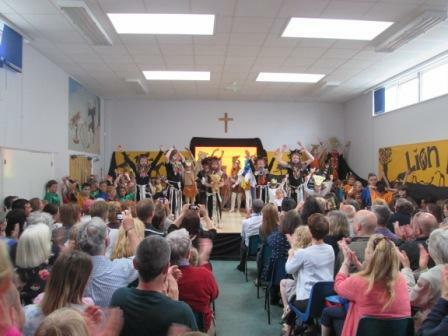 The most recent in July 2016 was Disneys The Lion King Kids version, which pupils loved!